John Hall was a Democratic member of the United States House of Representatives, representing the 19th district of New York. One group that is doing a great job of applying organization to agitation is Wellstone Action. Named for the legendary progressive senator Paul Wellstone, this group holds intensive training sessions around the country to hone the political skills of potential candidates, campaign workers, and citizen activists. Called "Camp Wellstone," these sessions empower regular folks to act on their progressive principles, to challenge even the most entrenched political establishment … and to win. Begun in 2003, Wellstone Action has been educating and motivating a whole new generation of grassroots leaders who are not beholden to money interests, not tied to old-line political hierarchies, and not afraid to offer a new politics based on ideas and ideals. And now, graduates of these citizenship camps are running winning campaigns all across the country. In the Nov. 7 election, Camp Wellstone alumni ran for local, state, and federal offices, and 78 of them were elected in 18 states. They will now be state senators, country commissioners, secretaries of state, and even members of Congress – three Wellstone grads (John Hall of New York, David Loebsack of Iowa, and Tim Walz of Minnesota) were elected to the U.S. house this year. In addition, one of Wellstone Action's trainers, Keith Ellison, was elected to the house, becoming the first Muslim to serve in Congress. As of February 20 2009 John Hall was listed as a member of the Congressional Progressive Caucus. Hall received $2000 in lobbying funds from Planned Parenthood in 2008. The Council for a Livable World, founded in 1962 by long-time socialist activist and alleged Soviet agent, Leo Szilard, is a non-profit advocacy organization that seeks to "reduce the danger of nuclear weapons and increase national security", primarily through supporting progressive, congressional candidates who support their policies. The Council supported John Hall in his successful 2008 House of Representatives run as candidate for New York. He has also been previously supported by the Council. The Council supported Hall in his 2010 Congressional election campaign. Tim Carpenter claimed that Progressive Democrats of America had chalked up several achievements in its short life, successfully promoting initiatives by PDA board members John Conyers and James McGovern. PDA was the driving force in the passage of resolutions opposing the war in Iraq by eight state Democratic Party meetings. The organization also was instrumental in the passage of resolutions in 10 states calling for the impeachment of President Bush. 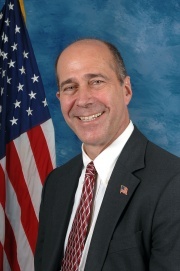 PDA is often referred to by Congressional Progressive Caucus Executive Director Bill Goold as the CPC’s field operation, because PDA has built relationships with members of Congress by delivering grassroots support for their initiatives – from Rep. John Conyers’ investigation of the 2004 Ohio voting fraud to Rep. Jim McGovern’s bill to cut off funding for the war in Iraq, a current priority effort. The organization worked hard for Marcy Winograd against Jane Harman and for other "progressive " Democrats including Donna Edwards, Christine Cegelis, Jerry McNerney, Tony Trupiano, John Hall, Jeff Latas, Gabby Giffords and Herb Paine. While PDA is still only a progressive “pup” compared with big liberal dogs like MoveOn, PDA-backed candidates have taken some big bites out of conventional wisdom and centrist Democratic complacency. In Los Angeles, local PDA leader Marcy Winograd won 37 percent of the primary vote against entrenched pro-war Democrat Rep. Jane Harman with only two months of lead time. In Maryland, the dynamic Donna Edwards appears to have come only a few hundred votes short of toppling the multi-term Rep. Al Wynn in her first bid for public office, and she is seen as well-positioned to prevail in 2008. And in Illinois, with strong PDA support, Christine Cegelis, though outspent 8 to 1, nearly beat the candidate of the inside-the- Beltway Party leadership and Illinois party machine, Tammy Duckworth, to vie for the seat being vacated by Rep. Henry Hyde. This fall, in the House, PDA is focusing attention and effort on several strong progressives worthy of note and support in hopes of flipping several seats from red to blue. In California, Jerry McNerney is running a strong race against an incumbent Republican. In Michigan, Tony Trupiano, with one of the nation’s strongest grassroots efforts, has his sights on an open seat in a Republican-leaning district. And in New York, anti-nuclear activist John Hall has won the Democratic nomination to challenge a four-term incumbent Republican. In Arizona, while the local PDA primary candidate, Jeff Latas, did not prevail, PDA will now enthusiastically join forces with PDA Board Member Rep. Raul Grijalva and support the nominee, the equally progressive Gabby Gifford, as well as PDA-backed Herb Paine, who won a razor-thin primary victory in a neighboring district. In the United States Senate primary races PDA unsuccessfully backed Jonathan Tasini against Hillary Clinton in New York, In Ohio, PDA backed successful candidate Sherrod Brown. In Connecticut, PDA campaigned to replace pro Iraq War Senator Joe Lieberman with Ned Lamont. This page was last modified on 28 February 2019, at 19:37.